Informed by mountain pros and designed for venturing into deep powder, the Helly Hansen Men's Sogn Cargo Pant takes your freestyle passion to the next level. Its 2-ply fabric construction creates optimal warmth, weather protection and breathability in extreme conditions, with a DWR coating that toughens it up. Equipped with multiple secure pockets, these ski cargo pants are insulated through the seat and knees for when you lose your footing. The Sogn Cargo Pant has a relaxed fit for ease of movement when you're waist-deep in freshies. 2-ply waterproof construction offers reliable water and wind protection. Insulated seat and knees perfect for snowboarders. Reinforced fabric designed for season-long shredding. "Do these pants have boot gaiters?" "Thank you for your inquiry. 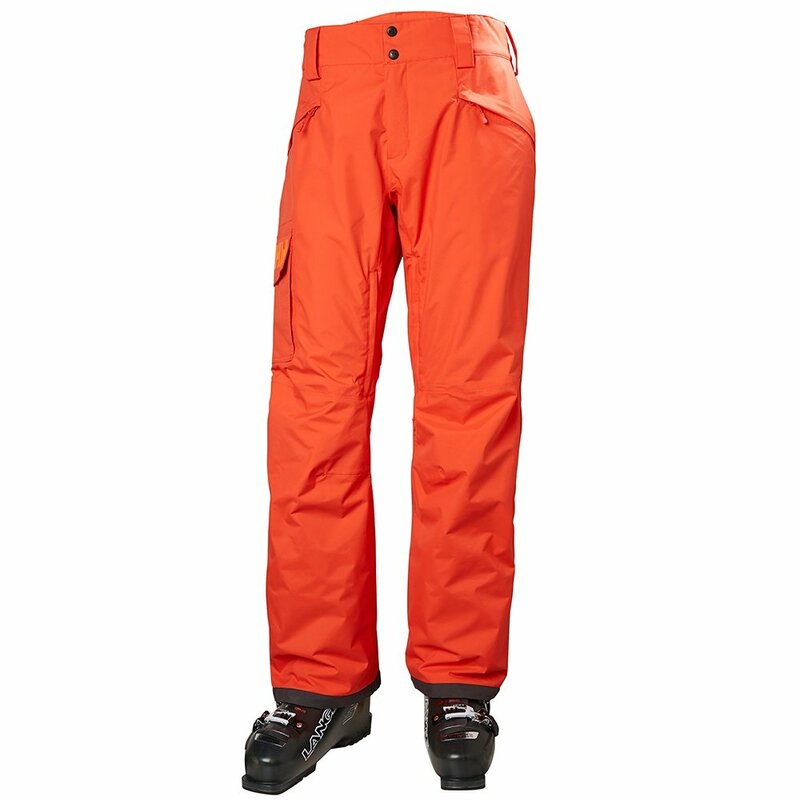 The Helly Hansen Sogn Cargo Ski Pants have boot gaiters with silicone to block out the snow. We hope this information helps! " The pants themselves seem like a great product. Unfortunately they are too big. I followed the size chart but it didn't work for me. They are adjustable but even at the smallest setting they are 4 inches too big. I will have to return them.